Bon Temps citizens gather to remember a fallen friend this week, while Eric plans to go nuts at vamp camp. Terry's friends and family attend his funeral. 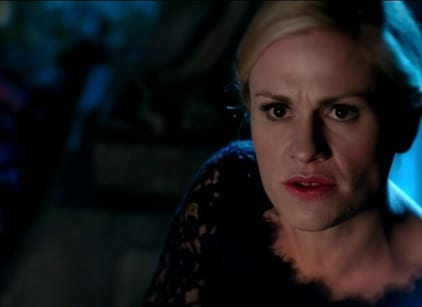 Sookie leaves Warlow to attend, but only after blasting Bill away with her light. Eric storms the camp and lets loose the imprisoned vampires to seek their revenge on their captors. Bill realizes what must be done to save Jessica and the others from meeting the True Death. Eric heals Jason who helps him find the white room. All the vampires in the white room drink from Bill except Steve. Eric kills Steve, but Jason spares Sarah. Bill and Jessica lead a group of vampires away from the camp, but Pam stops to look for Eric who flies away from her.